Chronic obstructive pulmonary disease (COPD) is most often progressive, but both pharmacological and non-pharmacological interventions can make a big difference to its severity and impact of symptoms. 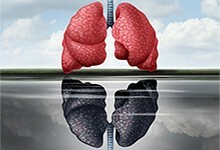 A new article by Professor Christine Jenkins from Concord Hospital provides a summary of patient assessment, non-drug and drug therapy, including combination therapies, the effect of eosinophilia, potential future developments, and the role of drug delivery—with an emphasis on the importance of both clinician and patient being familiar with devices for inhaled drugs. NPS MedicineWise will also be launching a new educational program on medicines for COPD in February 2017. Dr Rob Smith and clinical nurse consultant Janis Brown of John Hunter Children’s Hospital, Newcastle, provide an update on midazolam, a benzodiazepine that is now the first-line treatment for status epilepticus (prolonged seizures) in children. Injectable midazolam has recently been added to the list of emergency drug supplies that GPs can obtain on the Pharmaceutical Benefits Scheme. The article reviews current evidence and guidelines about its use in emergency, administration by carers, and the safety and tolerability of the drug. When used according to guidelines it appears safe and effective, write the authors. Dr James Falconer and Associate Professor Kathryn Steadman of the University of Queensland discuss the stability of compounded medicines. In most instances the stability of the final product is not known, and for this reason they typically have short-term expiry dates such as 28 days for oral and topical products or 24 hours for parenteral formulations. 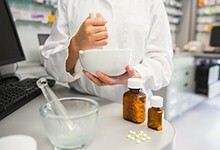 The authors also write about the regulation and practicalities of compounding medicines, including where and how compounded products are made. * Should pulse pressure influence prescribing? Australia Prescriber is now fully digital and available at www.nps.org.au/australianprescriber. Learn about the drug and non-drug interventions that have dramatically improved the quality of life for patients with COPD. 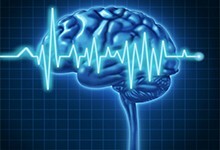 Midazolam is now the first-line treatment for status epilepticus in children. Find out who can administer it and how it is given safely and effectively. Independent. Not-for-profit. Evidence based. NPS MedicineWise enables better decisions about medicines and medical tests. We are funded by the Australian Government Department of Health.